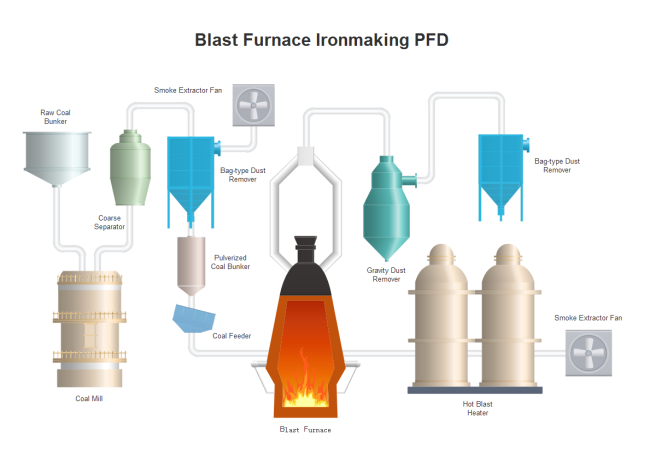 Description: Edraw's ironmaking PFD template displays a wonderful blend of artistic skill, color and visualization. You can use it to make your own PDF. You can also use Edraw to begin with predefined shapes, which won't take you much time, either.